European roulette is both one of the lowest edge casino games and one of the oldest gambling games offered in land-based and online casinos. It is also one of the most commonly offered roulette variations today due to its low odds, which has made it to be the favorite roulette game for casino players. European roulette can be considered more as the original game, instead of a variation, as opposed to American or French roulette, which were the result of casinos trying to change the game. The name simply stuck with this version because it was mainly played in Europe, whereas American was favored in North America and French roulette in Monte Carlo, France. The purpose of this piece is to point out the main traits of European roulette in order for you to be able to make a difference between these three prime roulette variations. Afterwards you can check out our other articles about the other two games, and see the principal differences that make these games somewhat “unique”. 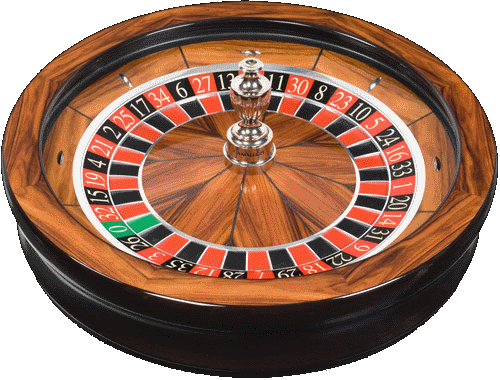 When we talk about the history of European roulette, we can refer to the general history of roulette. As we mentioned above European roulette is probably the original concept of the game, and not a separate variation. 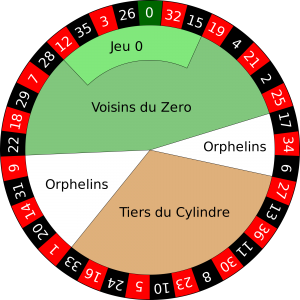 The inception roulette can be traced back to France in the 1600s, although some contest that the game is based on an English game called Roly Poly from the eighteenth century. However, the commonly accepted history of roulette is that it was invented by a French man who based the game on two separate French and Italian gambling games. There are also other claims that the game is a mix of different European gambling games, but until historians prove some of these theories, we will stick to the French version. 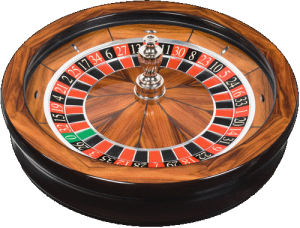 The person accredited with the creation of roulette is Blaise Pascal, a mathematician trying to create a machine that is in perpetual motion, which resulted with the creation of the roulette wheel. The game then suffered lots of different changes, from increasing the number of the slots, to adding single and double zero. The European version of the game has all the original features, and you can read about them below. The things that make European roulette different from other variations are very few. It is different from American roulette in that it lacks the double zero, which makes it similar to French roulette, and has the regular 37 numbered slots including the zero. Also, the table layout differs from French roulette, although the payouts are the same. In fact, most people confuse French and European because they are so much similar, so you may hear some people referring to them simply as single zero roulette. With the invention of American roulette, players were forced to look for other roulette games with better house edges, ending up playing European roulette more than American. The house edge in European roulette is 2.70%, which is way better than 5.30% in American. French roulette has the same edge, only that it can be lowered by half due to the La Partage rule which European roulette doesn’t have, although some casinos offer it. There are five inside bets in European roulette: straight bet (pays 35 to 1), split bet (17 to 1), street bet (11 to 1), corner bet (8 to 1), line bet (5 to 1). Outside bets are only two: the dozen and the column bet, and both pay 2 to 1. You can make three different column bets (1st 12, 2nd 12, 3rd 12) and three dozen bets (1-12, 13-24, 25-36). These are the easiest bets possible and are mostly played if you want a safe bet. They pay even money and have the highest probability of occurring. Even money bets are betting if the ball will fall on red or black, if the number will be odd or even, and if it’s going to be high (19-36) or low (1-18) number.